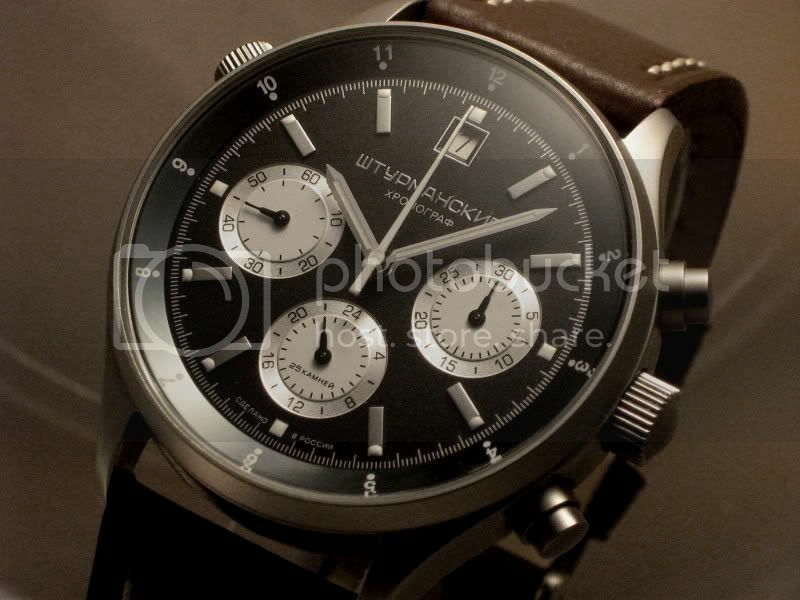 Discussion in 'Other Watch Brands' started by marcus f, Apr 23, 2012. And i said " Hello Satan I beleive it's time to go"
I consider it a "Fashion Brand" and wouldn't spend my hard-earned money on those watches... you can get better ones for less. IMHO, that's way too steep for a non Swiss/German made watch with a Miyota movement. I also have a suspicion that it might be quartz as well. Not for me, at least not at that price. I have been a fan of Poljot watches for a while. Similar price and powered by a reverse engineered, Russian made Lemania. Are you shopping based on aesthetics or price point? Or is it because the brand sponsors your favourite driver? If it is aesthetics or the connection with the driver that speaks to you, what we say does not really matter since it is leaning towards an emotional purchase. From a price point and heritage perspective, the watches I suggested above are made by a company that supplied watches to the Russian space program for decades. Gararin wore one on his historic flight. They would be my pick. At the end of the day, it really is up to you and what makes you smile. But you already knew that didn't you? Thanks Bo & Chip, still very unsure if 1 will ever end up on my wrist(probably only in the shop). The only reason i'd get 1 is the Kimi factor, so the chance of me getting 1 is very slim. Was just interested in what you guy's thought & if anyone had actually owned a piece by the brand. I always wanted one of those Russian watches as I think they look cool and they are good value for the money. Years ago I had a Vostok K1 and I liked it a lot. Gave it to a friend of mine and after 6 years of abuse, it still ticks. I think I paid right around 150 for it. Those are some good options Chip. I like those better, IMHO. I would go with what the guys have said as well. I have had a good close look at the TW Steel brand as it is sold here. I must say it feels like something Dell-Boy would flog you in the pub! Chip is spot on with his suggestions I feel.